Supported by its 25 corporate founders, the European School of Management and Technology (ESMT) offers a number of merit-based partial-tuition and full-tuition MBA and Executive MBA scholarships to support its students. The state-accredited private business school offers a full-time MBA, an executive MBA, a master’s in management as well as open enrollment and customized executive education programs. Founded in 2002, the ESMT is an international business school offering excellence and innovation through rigorous academic research, teaching, and educational consulting — with a practice-oriented approach to business education. ESMT MBA admissions is designed to find the candidates who best fit ESMT’s MBA program. The school is looking for a diverse group of professionals who share ESMT’s mission and who will succeed in the MBA program, both academically and professionally. ESMT considers each detail of a potential student's application to assess an their abilities and goals. Scholarships are allocated based on academic excellence, personal and professional achievement, particularly strong leadership potential, and superior interpersonal skills. MBA scholarships are restricted to self-funded candidates and are applied directly to the applicant’s tuition. ESMT awards scholarships based on academic excellence, personal and professional achievement, particularly strong leadership experience, and outstanding growth potential. Scholarships for the Executive MBA are applied directly to the applicant’s tuition. Citizens and nationals of ALL countries are eligible. 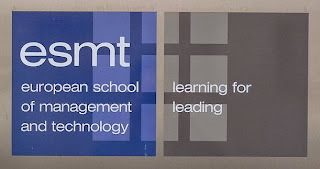 The European School of Management and Technology (ESMT), Berlin, Germany. (a). MBA scholarships: ESMT’s MBA scholarship program helps make your goal of an international business careers a reality. ESMT offers a number of partial-tuition scholarships for MBA applicants. Every year, there are a limited number of prestigious full-tuition scholarships also available. It is important to visit the official website (link to it is below) for complete details. (b). Executive MBA scholarships: For self-funded candidates, ESMT offers partial-tuition, merit-based scholarships for top EMBA applicants. Scholarships for the Executive MBA are applied directly to the applicant’s tuition. If you are interested in applying, note that ESMT accepts only online applications. The average GMAT score is 640. ESMT’s GMAT code is 7121. We also accept GRE scores, and our Designated Institution (DI) code is 7768. To receive an MBA scholarship, MBA candidates must first fill out an online application to the MBA program. All applicants to the MBA program are automatically considered for any available scholarships. To receive an Executive MBA scholarship, EMBA applicants must first complete an online application to the Executive MBA program. Self-funded EMBA applicants are automatically considered for any available scholarships. The online application is the first stage of the application process. You may be required to submit other documents along with the completed online application. It is important to visit the official website (link to it is below) for detailed description of the different scholarships offered, number of offers to be awarded, full value/benefits of each and the eligibility criteria for awarding each of them. MBA Admissions operates a rolling deadline, with available places in the class filled on a continual basis. Space in the ESMT MBA class is limited, and early application is strongly suggested. Round 1 - April 2: Early decision deadline. Applicants will receive the first chance to reserve their seats in the class. Round 2 - July 1: Students must apply by this deadline if they plan to enroll in pre-MBA intensive German language classes in Berlin with a 50% discount. Only students fully enrolled in the MBA program by July 31 are eligible for the discount. Final -- November 1: (December 2 for EU nationals) For visa purposes, this is the last deadline for the MBA program. If the class becomes full, students will be waitlisted. ESMT only starts processing your application when all supporting documents have been received. You may turn in items separately, but only completed applications will be reviewed. If the results of the GMAT (or alternatively GRE) and TOEFL (or equivalent) are not received by the deadline, your application will be considered during the following round. A copy of GMAT test scores is acceptable to begin the evaluation of an application, but no final admission decision will be made before the receipt of the original test scores report. 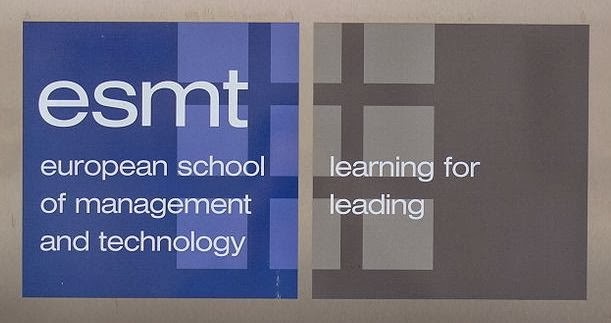 The European School of Management and Technology, ESMT, is an international non-profit state-accredited private university located in Berlin, Germany; with an additional location in Schloss Gracht near Cologne. The School was founded by 25 global companies and institutions. ESMT offers a Master's in Management, a Full-time MBA, an Executive MBA, as well as executive education in the form of open enrollment and customized programs. Most of our MBA professors would give you a break during these evening classes. One thing about the classes I did not like is the amount of group work that was deemed necessary by many professors. An MBA degree definitely differentiates professionals from the herd. But we must prefer not just any MBA degree but an MBA degree from a premier business school.